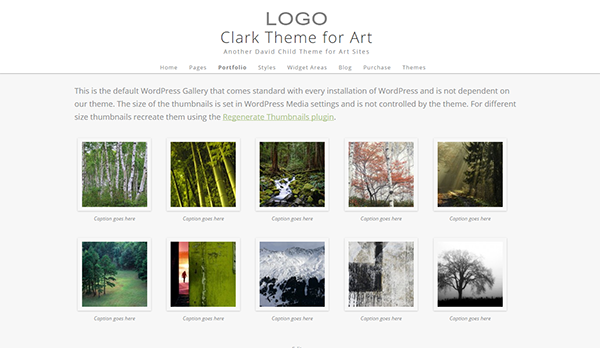 The WordPress themes for artists are clean, simple and elegant; designed purposely to enhance and showcase your work. 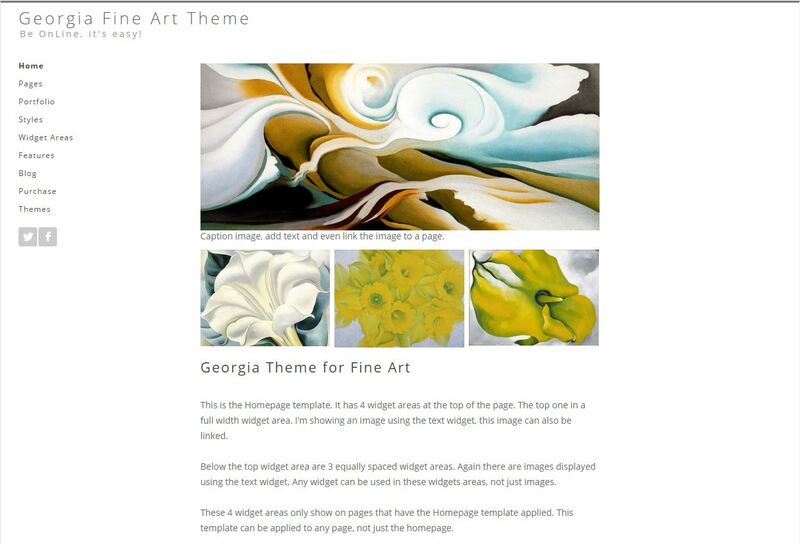 The WordPress artist themes can be used as you see them or, have Artbiz customize one for you, creating a unique look for your website. 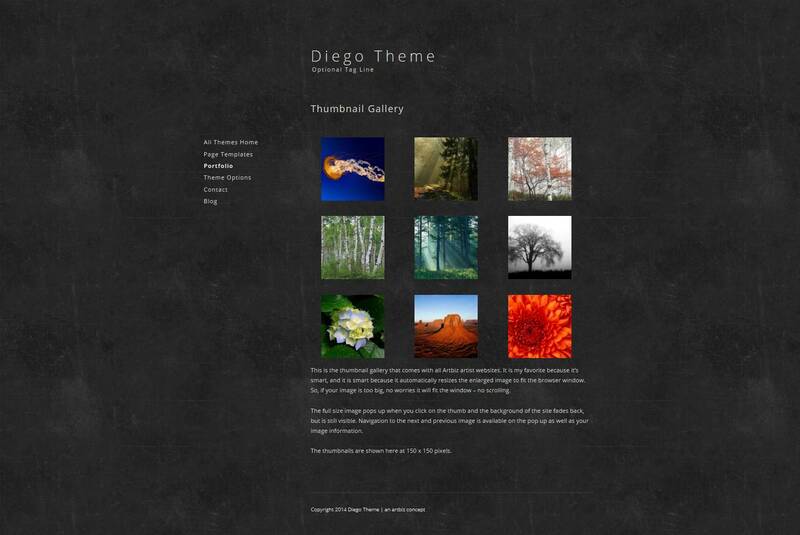 The artist themes provide you with a website that you can manage on your own with out having to know code. 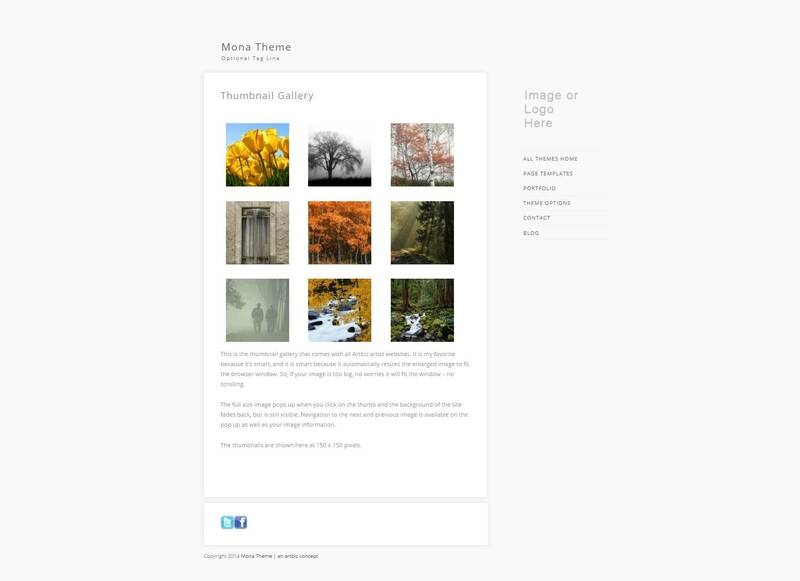 Click theme image or preview button for a live demo. 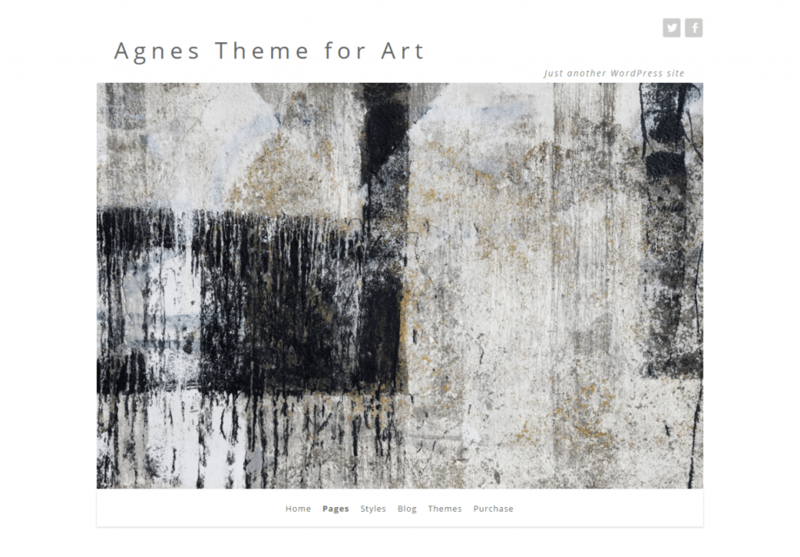 All Artbiz WordPress themes for artists’ are built on Parent themes. I like working with a parent themes because it makes it easy to update the code for all the themes just once. Bonus for me. The BONUS for you is that you get TWO themes, the parent and the child and can chose to activate either one. Read more about what the relationship between a parent and child theme. 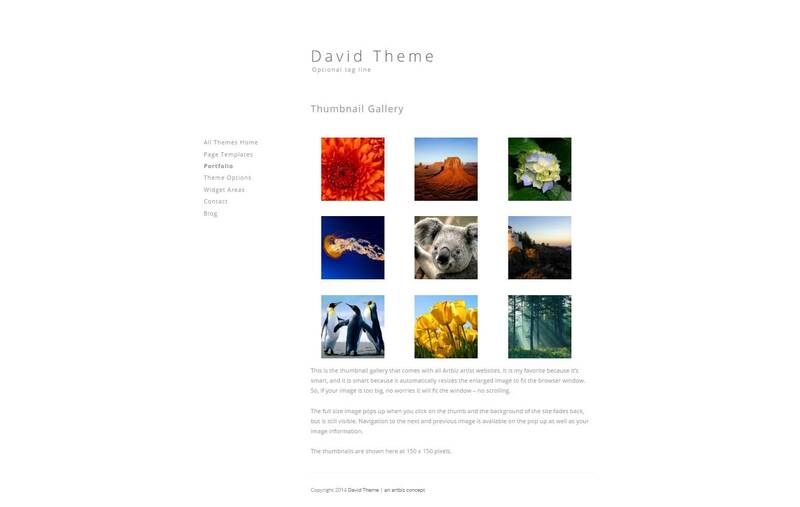 The David Artist Theme for WordPress is a parent theme that acts as a framework to build other themes upon. David is also a fully functioning theme. The following themes are child themes of David. You will get both themes. 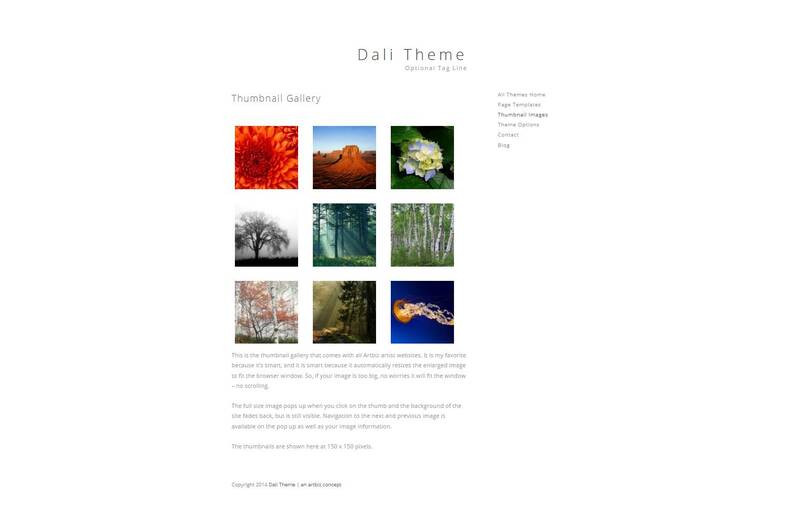 Dali is a narrower in width than the other themes, which makes it quite intimate. Dali is a child theme for David, you get both themes. The background image that comes packaged with Diego, acts as a place holder that you can keep or change to an image of your own. Diego is a child theme of David. You get both themes in this package. Emily is named after Canadian artist Emily Carr. The site title can be replaced with your logo. The header image appears in the sidebar on the Mona theme. 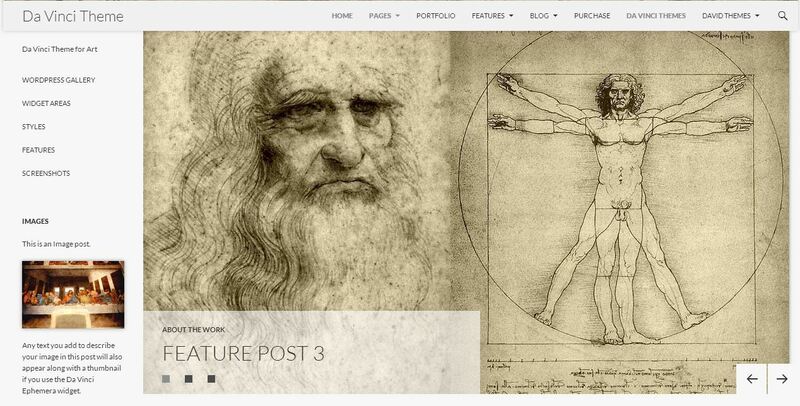 The Da Vinci Artist Theme for WordPress is a parent theme that acts as a framework to build other themes upon. 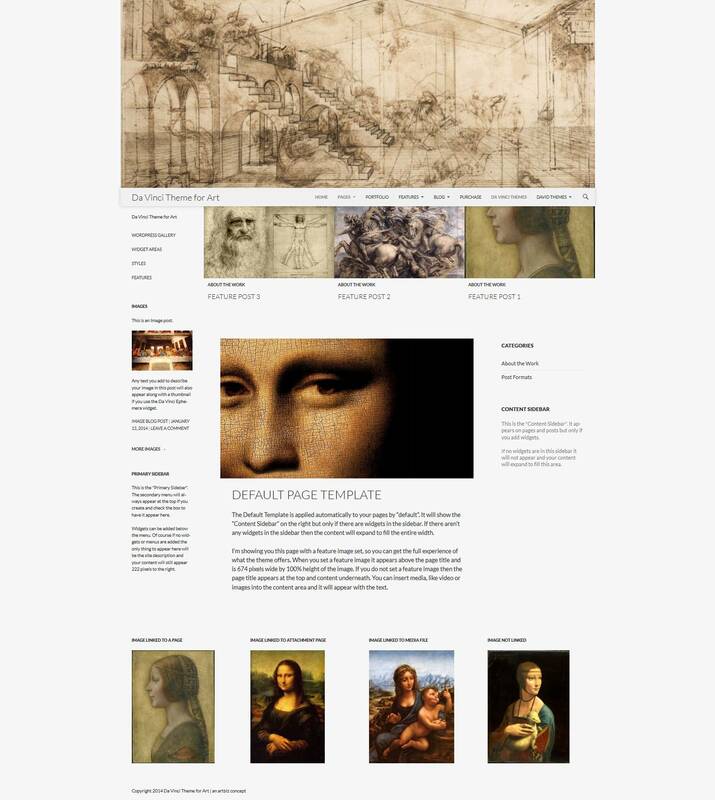 Da Vinci is also a fully functioning theme. The following theme is a child theme for Da Vinci. 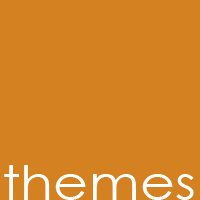 You will get both themes. At first glance it may appear that there is not much of a difference between the parent theme Da Vinci and this one, Leonardo. There are differences, though subtle. The header and footer span the full width of the browser screen and the default color for the aforementioned is slightly darker than the main content body. I know it may not seem like a lot but as you can also see at my site Artbiz.ca, a logo in the header gives it a whole new feeling, yet again. Georgia doesn’t have any child themes yet, but we are working on it. Named after Bev Tosh who is single handedly documenting the stories of War Brides. Tosh has more options than any of our other themes. 5 colors schemes and many logo and header images options. 2017 default theme is clean, blog-focused, and designed for clarity by the WordPress.org team. This child theme has comments removed from pages, typography changes and some nice simple formatting applied. NOTE: you need Twenty Seventeen installed in order for the 2017 Child theme to work. Well if you’re an artist you’ve probably already figured that out. I decided to name the themes after famous works of art and artists. David, for example, is named after Michelangelo’s David. Cassatt after artist Mary Cassatt, and so on. All Artbiz Artist themes are responsive, which means it re-sizes to fit mobile devices. iPad’s, iPhones, Smart Phones, the works. When signing up for one of Artbiz website packages you will have access to the online Tutorials & Videos that shows you step by step how to add your content and images. I will be available to answer any questions and point you in the right direction before, after and during. 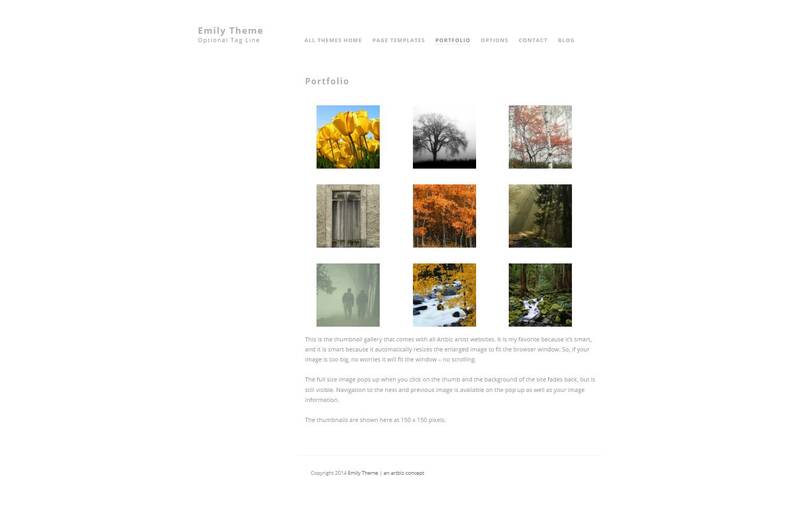 If managing your own website is not for you I do provide an updating service where I add and maintain your content for you and you can still take advantage of my artist themes.